Ecuadorian and Colombian authorities recently captured a narco sub and its three jittery crew members near the Galapagos Islands after a four-day pursuit; the submarine was carrying 3 metric tons of cocaine. That is very “wow”! Unfortunately, this isn’t actually that unusual; just this summer, authorities captured a narco sub carrying eight tons of cocaine 200 miles south of Mexico. Damn. Imagine: every day, as you check your Facebook and drink your latte and pet your cat, there is a handcrafted submarine chugging around underwater somewhere, probably leaking and being chased by the Colombian authorities, with 1 to 4 furious drug traffickers wedged between gigantic piles of blow. Now that I’ve kickstarted the brainstorming process for you, will someone write a movie and send it to me? I probably won’t do anything with it, because I’m not a film producer, but I think it’s a really good idea! 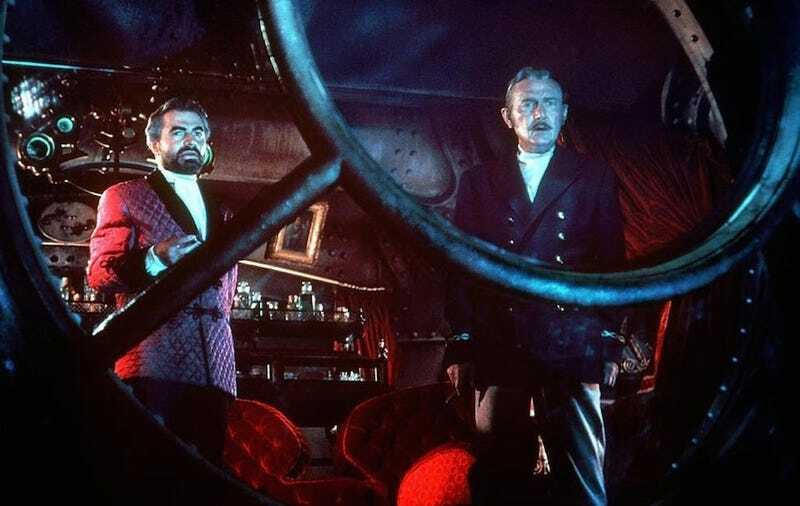 Image via USA/20,000 Leagues Under the Sea.